I’m not prone to weeping. 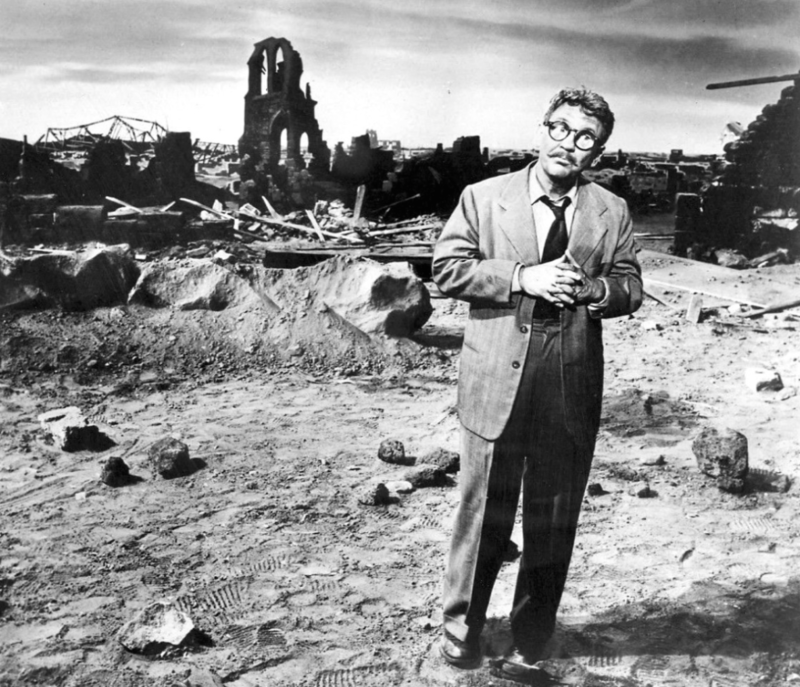 Still, I’ve felt a certain kinship with the fictional Henry Bemis at times. During the first 30 years of my career as a columnist, author, and think tank executive, I read virtually every day. But it was work. I enjoyed the subject matter. Still, given my professional and family responsibilities, I lacked the time to delve deeply into other subjects. Or, perhaps more to the point, I failed to make the time. That changed a couple of years ago. With the encouragement of my wife and others, I enrolled in graduate school at the University of North Carolina at Greensboro. The program I chose was originally called the Master of Arts in Liberal Studies. As I entered it, the name changed to the Master’s in Applied Arts and Sciences. No, this was not a conspiracy to keep a conservative from mastering the study of liberals. In their original conception, the “liberal arts” referred to the various disciplines that helped one become a free and responsible human being (from the Latin liber). The modern term “liberal studies” is a bit broader, emphasizing science as well as art and an interdisciplinary process for educating the whole person. Alas, the core subjects of liberal study are not a growth industry on today’s college campuses. From 2011 to 2017, the number of degrees awarded in history, religion, literature, philosophy, political science, liberal arts, and the humanities declined markedly — by 20 percent or more in some cases. I understand why many young people gravitate towards technical degrees promising immediate financial payoffs. Whatever else might be done in response, one thing we can do is encourage precisely the path I chose: a pursuit of liberal studies later in life. Of course, I could have just assigned myself readings in such varied topics as religious and intellectual history, world cinema, strategic planning, physics, and philanthropy. But I wouldn’t have known which texts to study, how to interpret them effectively, and how they fit into a larger context. In the case of Henry Bemis, he couldn’t take advantage of his opportunity to read and learn because, without his glasses, his vision was too blurred. In my case, a figurative blurriness would have come from trying to go solo, from a lack of guidance and stimulation from professors and classmates. I suppose one might say, then, that one applied science I sought to acquire from my UNC-Greensboro studies, just now completed, was that of “intellectual optometry.” By taking courses in multiple fields, with professors guiding me through a diverse set of sources and subjects, I gained proper lenses so I could discern underlying lessons about the human experience. Fortunately, I found the time to get my scholarly vision corrected — time enough at last.